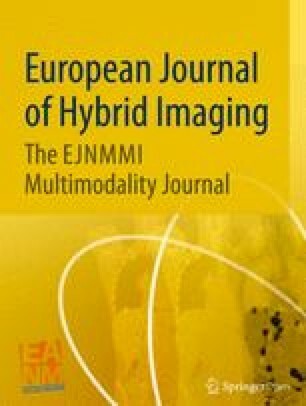 This article is co-published in the European Journal of Nuclear Medicine and Molecular Imaging, EJNMMI Research, EJNMMI Physics, EJNMMI Radiopharmacy and Chemistry, and European Journal of Hybrid Imaging, and is available at https://doi.org/10.1186/s41181-018-0050-3, https://doi.org/10.1007/s00259-018-4243-5, https://doi.org/10.1186/s40658-018-0237-4 and https://doi.org/10.1186/s41824-018-0078-9 respectively. With the open letter published in EJNMMI Radiopharmacy and Chemistry by an international working group of experts, the EJNMMI journal family endorses the application of the guidelines in contributions to the journals. Attached to the letter by the working group is a three-page summary highlighting the most relevant issues used in the notation of radiopharmaceuticals and related terms. The full paper with all recommendations is published in “Consensus nomenclature rules for radiopharmaceutical chemistry—setting the record straight, Coenen, H.H., Gee A.D. et al., Nuclear Medicine and Biology, Volume 55, v–xi (2017)” ( https://doi.org/10.1016/j.nucmedbio.2017.09.004). All Editors-in-Chief of the EJNMMI journals strongly recommend all manuscripts meet these guidelines upon submission. In addition, all reviewers will be asked to be aware of the guidelines and wherever possible to check if the guidelines are followed. All authors read and approved the final manuscript. Springer Nature remains neutral with regard to jurisdictional claims in published maps and institutional affiliations. Open AccessThis article is distributed under the terms of the Creative Commons Attribution 4.0 International License (http://creativecommons.org/licenses/by/4.0/), which permits unrestricted use, distribution, and reproduction in any medium, provided you give appropriate credit to the original author(s) and the source, provide a link to the Creative Commons license, and indicate if changes were made.